Your dishwasher needs a simple cleaning every month or so, and it’s as easy as running the dishwasher empty with a cup of vinegar. Alternatively, you could sprinkle some baking soda across the bottom of the dishwasher and run it. 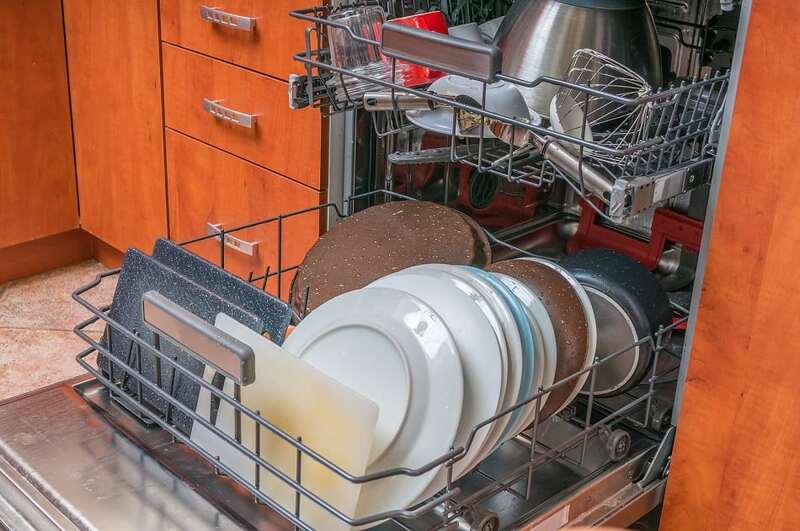 Beyond the basics, however, every dishwasher needs an occasional deep cleaning, and if yours smells like gross, old food, it’s probably high time for a scrub down. Focus on cleaning the seals and the dishwasher trap.